Growing up in Brooklyn and Long Island, Dr. Virgilio decided to study oncology when her mother was diagnosed with small cell lung cancer. 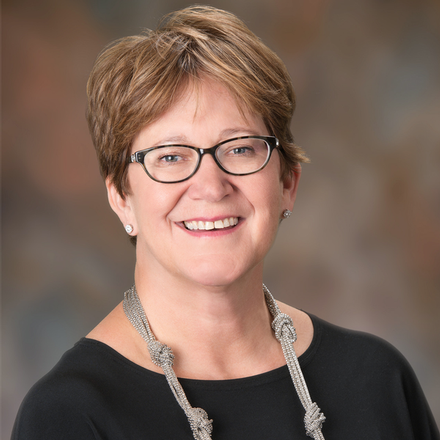 She has been practicing oncology for 26 years and she will tell you her practice philosophy has changed over time but a recurring theme continues to show up when you talk to her about her career. She feels privileged to take care of people at the most intense time of their life. Whatever the journey is that each patient is on; she wants to get them through it gracefully with the least amount of impact. She feels it is important to find the balance between being honest and providing hope. She loves spending her free time with her family. When asked what her favorite sports team is, she quickly responded, The CMU Women’s Lacrosse Team! And it is no surprise that since her free time is often filled with hosting team dinners; she would have chosen to be a caterer if medicine had not been her calling. 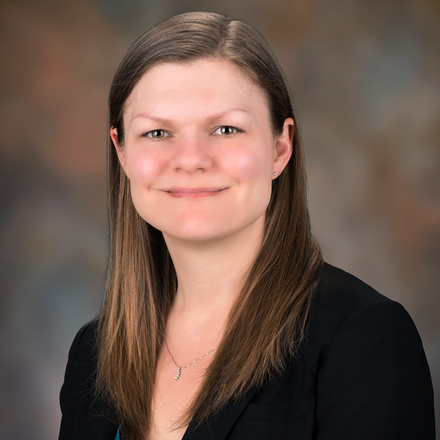 When you ask Dr. Melancon why she chose medicine, she will immediately tell you, “I love this job.” Beginning her medical career as an X-ray technician, she came to oncology in a roundabout way, but she likens it to a puzzle and putting the pieces together. Growing up just outside of Salt Lake City, Dr. Jonathon King did a report on doctors in the 3rd grade and his future in the sciences was set. When asked about his practice philosophy, Dr. King speaks passionately about taking care of the whole person and he believes his connection with his patients is key. He tells his patients that knowing what their own goals are is the most important thing. One of his patients referred to him as “a cup of love” and when you see his joyful smile and sense his compassionate heart, you may very well agree. Dr. King enjoys being outdoors both hiking and biking. And he loves spending his free time with his wife, Jess, a PA with Grand Valley Pediatrics, as well as their three children: Olivia, Jeremy and Lucy. Dr. Jahangiri sees herself as a guide to patients on their journey through life with cancer. Her aim is to provide her patients with the information and tools to make decisions in their care and to support them along whatever path they choose. As you talk to Dr. Jahangiri, you can’t help but be affected by her smile. She truly sees every day as a gift and lives her life that way. Her family includes her loving husband and best friend, their adventurous and adorable son, and their dog that they rescued from a shelter. She loves trail running, yoga and spending time with her family. If she could learn anything it would be languages so she could connect with more people. It was her parents who taught her to cherish and enjoy every day, and after meeting Dr. Jahangiri, you will agree, her parents taught her well. Andrea began her career in inpatient oncology as a new registered nurse. She initially wanted to work with oncology patients because she was fascinated with the science and research in the field of cancer care, and it allowed her learn something new every day. She soon realized that working with oncology patients was her passion. She considers it both a pleasure and privilege to work with patients throughout their journey with cancer. Andrea enjoys spending time with patients and their families to provide education and support to empower them to make decisions that are the best fit for their individual situation. After completing her training as a family nurse practitioner, she worked in primary care before returning to oncology as an NP. During this time, her stepfather had a recurrence of cancer and was cared for by the team at Grand Valley Oncology. Andrea was able to see the work of this amazing team first hand, and is thrilled to have the opportunity to work alongside them. The ability to impact patient’s lives in a meaningful way keeps Andrea motivated to continue to grow and learn in the field of cancer care. She thinks her stepfather would be very proud. In her free time, Andrea enjoys spending time outside with her husband Cole, climbing mountains, running, and unwinding with yoga. She and Cole travel whenever they can. You may see her trying to get the hang of mountain biking on the local trails or cruising around town in her husband’s classic Mini Cooper. Dr. Higdon’s advice to patients is to keep living. Don’t sit at home; get out there and be alive. She is the epitome of living life to the fullest. When you ask her what she does in her free time she lists three things: raise yaks, climb mountains and fly planes! She shrugs off the pilot license by sharing that she lived in Alaska and you really need to fly to get around “The Last Frontier” state. She enjoys climbing mountains describing it as a fun way to see the world. And there is the added benefit of meeting her husband on the slopes of Mt. McKinley. Now they raise yaks in their free time. When it comes to treating her patients, Dr. Higdon will tell you, “Now I know.” She understands because she has dealt with the disease with both her mother and sister. Her practice philosophy is to really get to know the patient, to be able to communicate with them and to tailor their care for their journey. At the age of 10, Dr. Higdon wanted to be a missionary. We are fortunate her mission in life brought her to Grand Valley Oncology. Please note, Dr. Higon is located at Grand Valley Women's Health Specialists. In her free time you will find her traveling and in her quiet time you will catch her reading. Her favorite book is Pillars of the Earth. Dr. Miller has a fascination with weather and if she had not chosen to become a physician she would have been a meteorologist. We at Grand Valley Oncology are all very happy that she chose medicine over meteorology. The field of cancer is always changing and Dr. Bagley enjoys continuing his own education. As a Radiation Oncologist, it is no surprise his favorite book is Radioactive: Marie and Pierre Curie: A Tale of Love and Fallout. However in his free time, he and his wife, Diana, enjoy swimming, hiking and adventures with their five children: Jack, Luke, Max, Will and Lily. 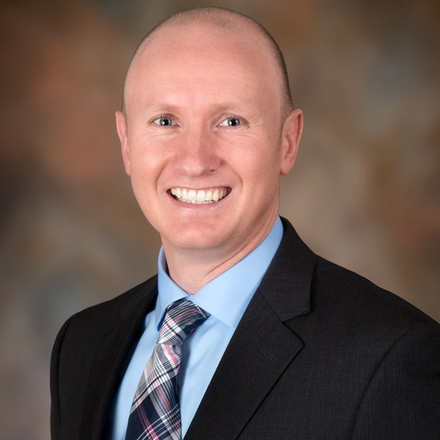 Click here to view Dr. Frandsen’s profile. 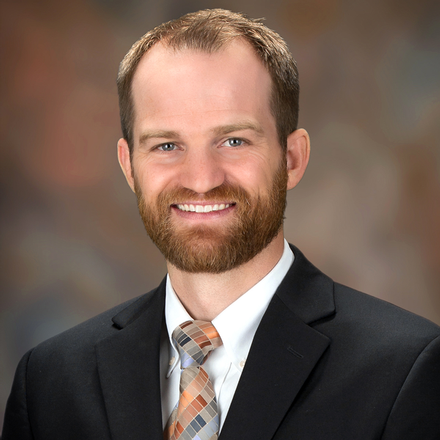 Dr. Jonathan Frandsen felt the call to pursue a career in medicine as a teenager. In fact, when he was a junior in high school, he told his girlfriend (and future wife, Melinda) that he wanted to be a cancer doctor. 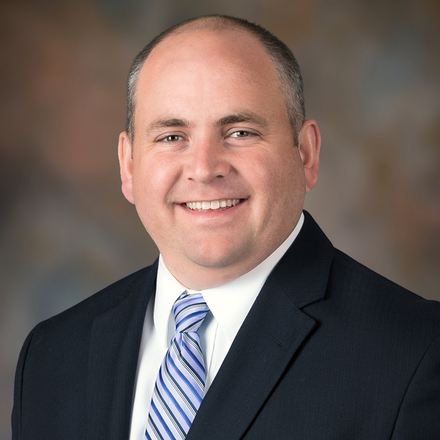 Dr. Frandsen works every day to be the best oncologist he can be for his patients. He feels a great responsibility to help his patients navigate the latest medical and technological advances in oncology. As a resident physician at the Huntsman Cancer Institute in Salt Lake City, Dr. Frandsen won multiple awards for his cancer research. His work has been presented at international medical conferences and published in top flight medical journals. He is thrilled to bring his expertise to the Grand Valley. Dr. Frandsen loves his family, music, and the great outdoors. He loves sharing his hobbies with his wife, three boys, and baby girl. When not busy seeing patients or wrestling his young children, you might find him around a fire pit sawing on his fiddle, or on the trails peddling his mountain bike. Dr. Fulton is a general surgeon who recently completed a fellowship that focused on breast cancer and melanoma. She is excited to start her career with Community Hospital and Grand Valley Oncology. Her passion is oncoplastic surgery, a form of breast reconstruction that combines cancer resection with tissue resculpting. There are many options for breast cancer surgery, and she feels that her role is to help the patient decide on the right treatment plan for them. The field of surgery is rapidly changing, so Dr. Fulton keeps up-to-date on the latest advances by attending and presenting at multiple conferences a year. In her free time, Dr. Fulton loves to do outdoor activities with her husband and son. She can’t wait to take advantage of all that Grand Junction and the area have to offer including hiking, skiing, snowboarding and biking! She also enjoys spending time at home relaxing with her family and two cats. Please note, Dr. Fulton is located at Surgical Associates of Western Colorado. Medical School: Georgetown University School of Medicine, Washington, D.C. When talking to Dr. Tarman, you will sense her passion for her career. She always wanted to be a physician and she recounts babysitting for a little boy, Christopher, and remembering the day he was diagnosed with neuroblastoma. Perhaps that little boy helped mold her practice philosophy. 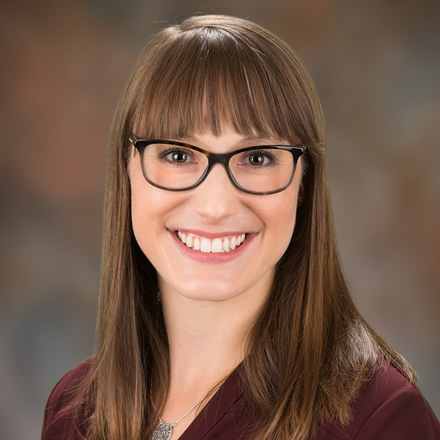 “I think about what it’s like to be my patient and to understand what it feels like from their standpoint.” Dr. Tarman builds relationships with her patients by taking the time to get to know them and to earn their trust. A mother of three boys, she met her husband, Dr. Greg Tarman, at Georgetown University. She adds with a smile, “I had an Irish Setter and he asked for the dog’s phone number.” Both Dr. Tarman and her husband served in the United States Navy. She is most excited about seeing what paths her sons will take as they prepare for their next chapters in life. Her free time is spent doing needlepoint, knitting or cooking. Her favorite book is Doc Susie: Mountain Doctor and The Beetles top her music list. We are certainly fortunate that this native New Jersey doctor ended up in our community! Stephanie’s transition from biochemical engineering to oncology pharmacy may seem unusual, but her passion for high quality health care has been the guiding principle. She was working in drug research and development when she first observed the personal touch that clinical pharmacists brought to patient care. She then made the decision to work directly with patients and serve as a facilitator in their understanding of complex chemotherapy regimens. Stephanie views life as an extended weekend and the world as a giant playground. She and her husband spend as much time as possible outside running, hiking, canoeing and camping. A combination of events led Katie Lemas into the field of genetic counseling from her undergraduate work in psychology to her cousin who was diagnosed with ovarian cancer at the age of 30. 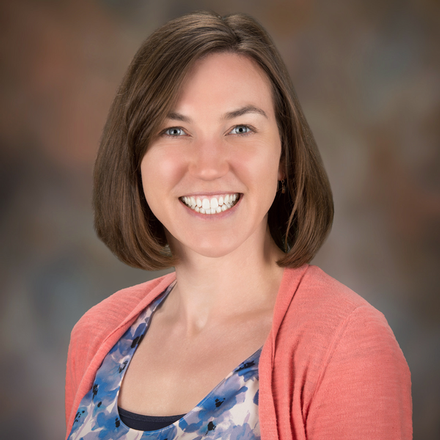 Genetic Counseling allows her to combine her interests and to be in a field that she loves. Katie’s definition of genetic counseling is beautifully succinct. “It is taking complex genetic information of disease in a family and presenting it in an easy way.” She enjoys the field because she can help a patient use this genetic information to make valuable decisions. When Katie is not at work she and her husband enjoy spending time with their growing family. A native of Fruita, Katie appreciates all Colorado has to offer year round: hiking, camping, swimming and skiing. If she could learn to do anything she responds with a laugh, “organize my home”. With the ever-evolving field of genetics and a young, energetic family, her priorities are in order, even if the toys are not!